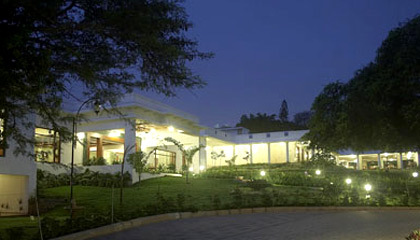 Golden Landmark Resort is located just off the Ring Road. 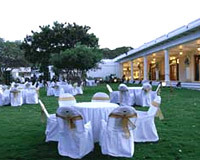 Located amidst lush greenery, Golden Landmark Resort has everything required for a great holiday in Mysore. It doesn’t only enjoy central location, but also perfect environment. 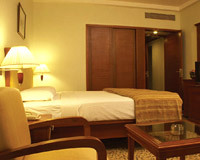 It boasts of contemporary architecture that is further enhanced with soothing ambience and chic décor. 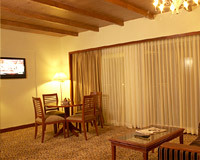 The hotel provides all the services and facilities that could be of use by the travelers. With its proficient services and well-appointed accommodation, Golden Landmark Resort is the best place to hideout and enjoy in the City of Palaces - Mysore. 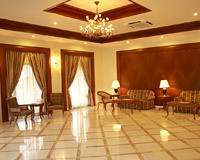 The resort offers cozy accommodation in its Club Class Room and Lakeview Villas. Each accommodation unit is properly furnished and features modern comforts. The Restaurant: A place to enjoy royal dining with family and friends. The Coffee Shop: An ideal venue to relax over drinks and snacks. Cocktail Lounge: A chic setting offering exotic variety of hard drinks.